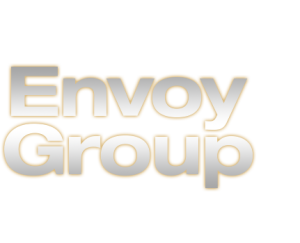 By Jermaine Farmer – July 11, 2017 – Envoy Group Corp (OTCMKTS:ENVV) is a penny player that has seriously grabbed hold of the attention of traders during the stock’s recent bounce. The stock has been on fire, ripping over 900% in just the past month. The company’s most recent catalyst was its announcement of the receipt of its first large block of cryptocurrency mining hardware at their BitReturn Tier 3 Datacenter in British Columbia. The move will situation this company as potentially a key player in the blockchain space. According to the release, in addition to the cryptocurrency mining computers presently operating at the Datacenter, “this new shipment will allow BitReturn to install 500 additional graphic processor units (GPUs) into the secure operating installation. These advanced GPU cards, produced by NVIDIA, are of the highest quality for currency mining and other applications, and will accommodate the optimized algorithms that our technicians will employ for mining rates far beyond any standard performance. ”Envoy Group Corp (OTCMKTS:ENVV) bills itself as a company that, through a division (BitReturn), has first targeted a high positive cash flow method of Mining of Digital Currencies that has been de-risked by employing the most effective Graphic Processor (GPU) technology and BitReturn’s secure Tier3 (T3) facility in Kamloops, B.C. Hundreds of 7 to 13 GPU arrays will be working 24/7 within the climate controlled facility. Mining of Digital Currencies will be constantly directed to which currencies provide maximized profitability. New digital coins drop into the world every 10 minutes and BitReturn will be there to catch them. Find out when $ENVV stock reaches critical levels. Subscribe to OracleDispatch.com Right Now by entering your at the bottom of this page. As noted above, the company just announced the receipt of its first large block of cryptocurrency mining hardware at their BitReturn Tier 3 Datacenter in British Columbia. As the reader might imagine, this sets the company up to compete in what has perhaps become the defining small and microcap phenomenon of the year. The blockchain plays have been something like the pot plays in 2016. In any case, management was obviously fired up: “We see tremendous growth for the adaptation and use of Blockchain applications. Blockchains were originally developed to underpin digital currencies, like Bitcoin, and are rapidly gaining the interest of large players in banking, financial services and other high volume transactional businesses,” stated Matt deFouw, Company President. So far, the market would seem to agree. The chart shows nearly 1200% piled on for shareholders of the stock during the trailing month, a rally that has pushed up against longer standing distributive pressure in the stock. The situation may be worth watching. ENVV has a track record that includes a number of dramatic bounces. In addition, the name has seen interest climb, with an increase in recent trading volume of just shy of 490% above the average volume levels in play in this stock over the longer term. This is particularly important given the stock’s tight trading float of 30M shares. Traders should not overlook this combination, as with such a tight trading float, this kind of ramping interest can force a supply-shock squeeze. Now commanding a market cap of $37.9M, ENVV has virtually no cash on the books, which stands against about $52k in total current liabilities. The company is pre-revenue at this point. This may be a very interesting story and we will look forward to updating it again soon. For continuing coverage on shares of $ENVV stock, as well as our other breakout stock picks, sign up for our free newsletter today and get our next hot stock pick! Disclosure: we hold no position in $ENVV, either long or short, and we have not been compensated for this article. Published by the Oracle Dispatch, July 11, 2017. View article here.